Dubai: Abu Dhabi and Dubai residents experienced moderate to heavy rain with hail on Wednesday as inclement weather continued to lash the country this week. 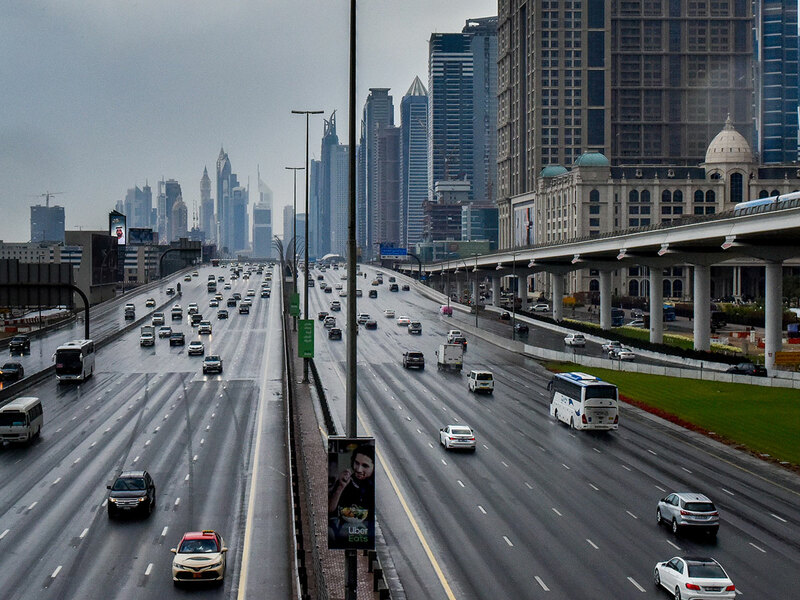 Hail pounded Arabian Ranches and areas in Jebel Ali on Wednesday afternoon as moderate to heavy rain lashed Dubai extending to Shaikh Mohammad Bin Rashid Road in Abu Dhabi to Dubai. Hailstones form when thunderstorm updraft’s are able to carry water droplets well above freezing level. They start as water vapour condensing into tiny water droplets that are swept upwards and then are “super-cooled”. As they collide with other droplets, they become bigger and fall to the ground. The lowest temperature recorded in the UAE was 11.7C in Jebel Jais on Wednesday. But the temperatures in the upper layer of the atmosphere can become freezing and that was enough to produce hail. Al Samha, Sharjah, Ajman, and Ras Al Khaimah also received moderate to heavy rain. Moderate rain was recorded over Dibba, Fujairah, Ghantoot, Ruwais (Al Dhafra area), Al Shahama, Al Shawamekh and surrounding areas. Light to moderate rain meanwhile was recorded over Abu Dhabi Island, University City, Sharjah, Madinat Zayed, Ghayathi and Traif. Ras Al Khaimah Airport had some thundershowers at 5.33am. On Thursday, the UAE will have partly cloudy to cloudy skies at times with a chance of some rainfall over scattered areas, especially over the internal areas. After days of wet weather, however, relative humidity will increase by evening and Friday morning that could give rise to fog or mist formation. Overcast skies may give way to partly cloudy and sunny skies on Friday. But this break from the wet weather is expected to last only for a day as there is probability of some light rainfall again over the coast and western islands on Saturday. The Arabian Gulf and Oman Sea will be moderate for the next three days.